This is the first form of therapy I ever tried, and is probably the one I would recommend trying first (alongside CBT). If you have never been open about trichotillomania before, this is a good way to ease you into it; your counsellor will be an impartial, professional person who will listen to you rather than dismiss you as being abnormal. Just getting everything off your chest to someone who understands the rationale behind your actions could be very therapeutic and cathartic for you. Whilst I have had to explain to therapists what the disorder actually is, it is relatively similar to other body-focused repetitive disorders (BFRBs) and other anxiety-related issues that they may be able to help you with. Talking to someone qualified in these matters and helping you get to the root of why you started can then help you move forwards towards recovery; it's always worth a shot. Visit your GP for advice on where to find counselling (or if you're at university or college, there may be a separate centre set up for counselling- this is how I started a course of treatment when I was at uni). This form of therapy is a bit more 'out there', but has worked for many. The most well-known use of hypnotherapy is to help individuals quit smoking, and has been proved to work well for those who have 'bad habits' and differing levels of addiction. When thought about simply, trichotillomania is a bit like this; it's a compulsive hair pulling disorder, with the pulling of hairs triggering an addictive, 'rush'-type feeling. In this way, hypnotherapy can be a fantastic way to treat sufferers. It works by changing your subconscious mind over a set block of sessions- it's more long-term, and tries to alter your emotional attachment to the need to pull, or make your mind not get that 'good' feeling from pulling to try and deter you from the action. I have tried this before, but was never 'hypnotised'- it didn't work on me at all, and I think it largely depends of how susceptible you are to the therapy (I clearly was not very). Whilst I remain skeptical of this approach (it is also rather expensive- something to bear in mind), it has been praised by many sufferers and is another option available to try. Probably the therapy with which I saw the most positive response, CBT is often the first thing which is recommended to trichotillomania sufferers. Supposedly the only therapy which has scientific evidence to support its claims in helping trichsters, CBT studies your behavioural patterns, helping you to understand why and when you pull, and subsequently, where you can intervene to try and alter these patterns. It certainly makes you more aware of the hair-pulling; through this therapy, I learnt to pinpoint the exact circumstances in which I pull and identify the emotions surrounding these situations. Whilst it hasn't necessarily stopped me pulling, this awareness means that I am more able to stop myself or avoid putting myself in situations where I'm more likely to try and pull my hair out. For example, I know I tend to pull when I'm just sat studying or watching TV, and although studying is unavoidable, I am able to take precautions (wearing glasses to restrict access to my eyes) or keep something at my desk to occupy my hands when the urges come about. It's not a cure, but definitely a therapy worth trying if you want to gain better insight and understanding into the disorder- out of all, this has helped me the most. I only tried this once through a chance meeting with Christine Moran (a local therapist to me who advocates this technique), and I'm not sure how big its impact was, but it's certainly a interesting, alternative and an easy one to try at home without having to fork out and travel to a counsellor. Also known as 'tapping', this abstract technique uses 'psychological acupressure' to target key energy meridians across the body. Popular in the East for thousands of years, tapping these pressure points with your fingers (top of your head, chin and under your eyes, just to name a few) supposedly rids the body of negative energy; repeating positive phrases when tapping, such as 'even though I have trichotillomania, I still love and accept myself' reinforces positive energy in helping you overcome the issue. I'm not sure how much of this actually works, but a session leaves you feeling so exhausted and thirsty...it must be that mystical energy. One route that seems obvious but isn't to be taken too lightly is the option of going on medication. Used more frequently than ever to placate feelings of depression and anxiety, finding the right medication could be life-changing. When paired alongside CBT, it is said to work wonders for trichotillomania. It's well-known that trich often comes along with sister disorders; it's strongly related to anxiety and many sufferers also suffer depression through the feelings of self-loathing, despair and isolation the disorder brings. Anti-depressants can often aid this, ridding yourself of one problem. Having tried medication for depression and anxiety, I have personally decided that it is not for me after seeing no effects and not finding the right one for me (I tried about 7 different ones!). I had bad reactions to a few anti-depressants (I only went on them during a desperate time), being so lethargic that I could barely leave my bed some days (this is 100% not like 'normal' me!). Be prepared to see some changes in your personality or some strange side-effects. They could work wonderfully for you, but please be cautious when choosing to take medication (and obviously get advice from your GP). I found that the anti-depressants made my anxiety a million times worse, and the anti-anxiety pills made my depression worse- I didn't want to choose so decided to ditch the pills in the end! Speaking openly online and in person to my friends, family and boyfriend has been the biggest step towards recovery for me (I've written about it more here). 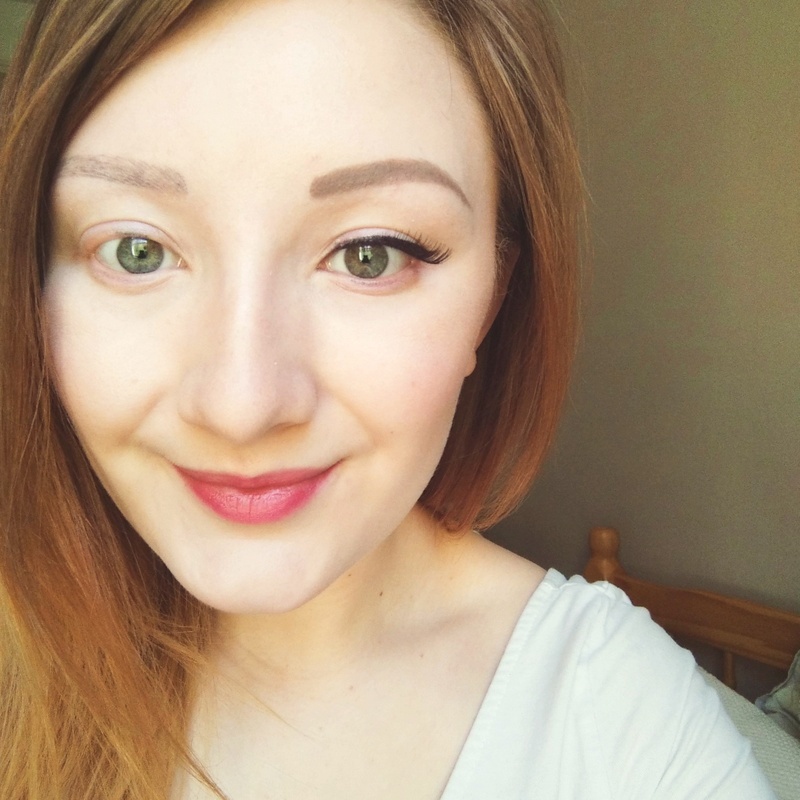 Throughout secondary school, I hid and constantly denied my trichotillomania- this was probably the worst thing I could've done, but I didn't know it at the time. 'Coming out' when I got to university felt amazing, and I used the opportunity as a clean break. Having friends and family that ask questions provokes me into thinking about the disorder, and challenges me to dig deeper to answer their intrigue. Most people will be far more understanding that you'd ever imagine, so I urge you to just go for it and start being open. It's like a weight lifted off your shoulders, and leaving that stress alone to one side in itself will hopefully ease your urges to pull. My boyfriend is so supportive and is always there if I need to rant about trich or mental health in general- he also calls me out when my hand reaches for my brows or lashes, causing me to realise what I'm doing and stop. A strong support unit is essential to recovery. I've written about this in the past (you can check out all of my tips on how to stop pulling here), but these small changes to your everyday life could be a great starting point for you. Simple things such as cutting caffeine and sugar from your diet (or as much as you can) can often ease the disorder a bit, and little tricks like putting Vaseline on your lashes or wearing gloves around the time you usually tend to pull can help in the short-term. It's not going to provide a lasting solution to the issue (it's usually more deep-rooted, requiring that extra therapy), but could be a good way to temporarily hinder your pulling alongside some more long-term therapy sessions. Have you tried any of these methods? What else would you add to this list? I really loved this article because I can feel the same and have been in this situation Medication & Speaking openly are truly effective.